Sales leaders from around the region got together at our recent Sales Leadership Jam in Detroit and talked about the ways they use sales motivation and gamification tactics to achieve a wide range of outcomes, from encouraging CRM adoption, to driving staggering sales growth numbers. Mike Kalis, CEO of Marketplace Homes, brought some stories to the floor that demonstrated how keeping an open mind on sales incentives can pay big dividends for a business. Mike built Marketplace Homes from a self-funded basement-run operation into one of the fastest growing and most successful companies in the country, thanks in no small part to the highly motivated team of his making. After crunching some numbers, he and the rep agreed on what Mike thought was a “crazy ridiculous sales goal” at the time. Sure enough, the salesman hit it and earned himself his coveted hot tub reward (and a very happy wife, too). The rep saw tangible recognition, and the company saw much higher sales numbers, so what at first seemed like an absurd incentive turned out to be a boon for all involved. Of course, this particular example isn’t feasible for everyone. You can’t just start throwing around hot tubs willy-nilly like they’re some magical sales performance elixir. But the idea itself stands true and is proven; that a highly motivated and recognized sales team is capable of returning tremendous value to their company. 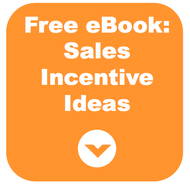 Definitely don’t feel pressured to up the price tag on your incentives if you’re unable to, because it is the truth that incentivizing sales teams need not break the bank. The value is in the message that’s sent to the team or salesperson, that their work won’t go unnoticed and that their achievement potential is high and worth their best effort. Having a finger on the pulse of the team means understanding that everyone has their own personal “hot tub,” or the incentive that will motivate them to achieve their potential. Strong leaders use that pulse to define their incentive strategy. Maybe your reps seek recognition, professional experience, money, hot tubs or a combination of these. Keep an open mind to whatever it may be, and if it makes sense, challenge them to go out and get it! And just how much your sales reps are willing to do to get their hot tub may surpass your expectations entirely.